We spend a third of our lives in bed. So having a comfortable mattress matters. That’s why we created the Made to Ride® mattress line for truckers. Our multi-layer mattresses offer excellent support, cushioning comfort, and cooling properties to help you sleep more comfortably. Forget everything you know about sofa bed and cot mattresses—the flimsy foam, tired innersprings, and metal bar that digs into your back. The Hotel Sleeperzzz from Estee was designed with high-performing technical materials that won’t bottom out. Select models feature Nanosphere technology that repels spills and stains. 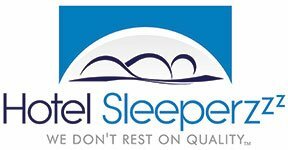 We partner with American suppliers to offer high quality pillows and sheet sets for our mattresses.